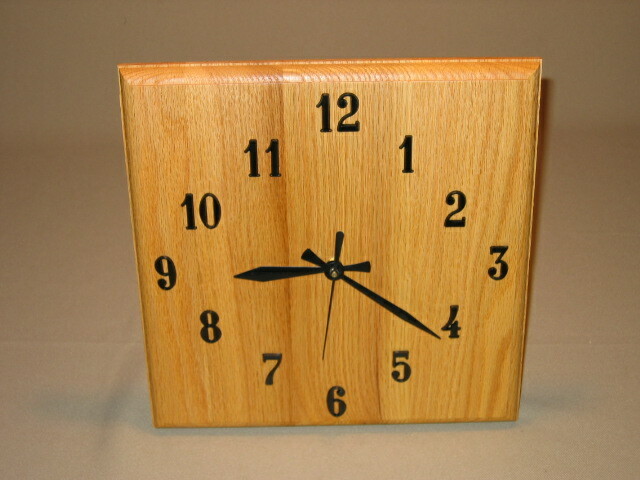 The square wall clocks shown below are offered in walnut, cherry, oak, or in a variety of laminated hardwoods. Each is approximately 11 inches in diameter. 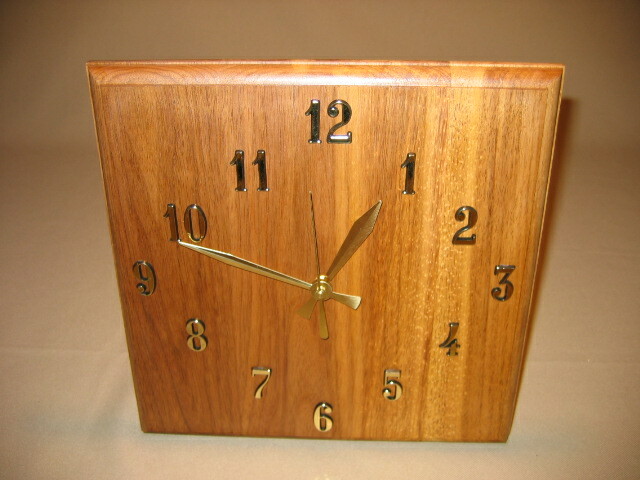 The walnut clock has gold numbers and hands, while all the others have black numbers and hands. A hanger and instructions for installing the hands is also included. Each requires a AA battery (not included). 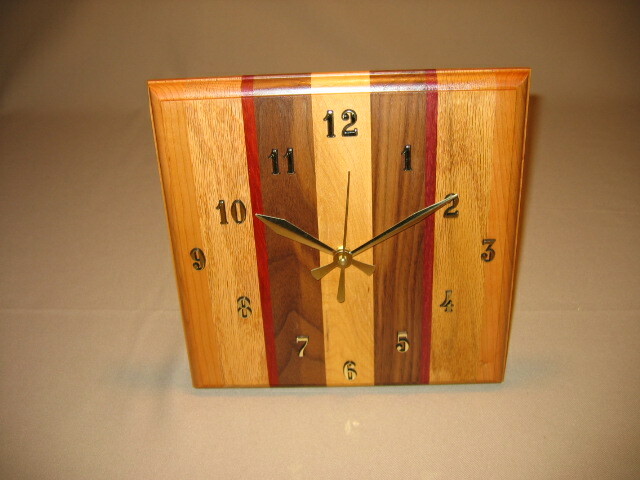 Please select your choice of wood from the drop-down menu; then click on the "Add to Cart" button.